I had the patience to listen to the speeches of Members of the Opposition representing UNP, JVP and TNA. I regret very much the pathetic position that they are placed in. They all approached the Budget with venom, rancor, malice and jealous. Through their speeches, they only exposed bankruptcy of their economic strategies. The UNP is ideologically impotent, JVP blind and TNA deaf. Most of the speakers touched upon everything on earth except the Budget. The Budget for 2011 has to be viewed and judged from the standpoint of economic strategy and economic policies, our past performance and achievements, our vision and objectives and the neutral proposals before the House. None of our Members of Opposition touched on any one of these aspects. Through this Budget, we have brought relief to all segments of the society and pain to none. What is the reason for our success story in our achievements during the past five years (2006-2010)? Firstly and mainly our departure from the Neo-liberal economic policies initiated by the UNP in 1977. This is what the UNP cannot self-critically admit. This is one of the causes of internal contradictions within the UNP. It is not only the crisis of leadership, it is also a crisis in relation to their economic policies. Neo-liberalism they hailed once has run into crisis globally. Secondly, despite all global challenges - food crisis (2006), energy crisis (2007) and financial crisis (2008) and economic recession (2009), we secured an average growth rate of over six percent from 2006-2008 and a modest growth rate of 3.5 percent in 2009, when all the developed countries registered a minus growth. In the current year 2010, we have come nearer to eight percent. It was possible as we made a paradigm shift in the economic strategy and readjusted our policies accordingly. If we had continued with the neo-liberal economic strategy, we would have placed the people of our country in misery, jeopardy and chaos. We secured these significant achievements in the midst of a prolonged and disastrous war, provoked by the UNP in 1983, with the correct strategy, we put an end to the war in two and half years, whilst embarking on gigantic task of massive economic achievements. 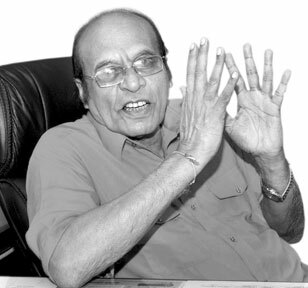 The UNP refuses to see this stark reality - JVP blind and the TNA deaf. How did we achieve these significant results? We were guided by the realities of global economy. We were conscious of potential international challenges. We took into account the past experiences of all previous administrations of both periods from 1977-1944 and 1994-2004. We identified our friends and partners on the international scene. We concentrated on domestic production and a balanced and proportionate regional development. We shifted our emphasis to the rural economy and SME sector. We made the maximum use of our natural resources taking into account the potential environmental hazards. We placed our reliance on the balance development based on the private sector and State owned enterprises. Contrary to neo-liberal economic strategy, we placed reliance on the role of the Government both in planning and co-ordination. It is not the mere role of the night watchman as Adam Smith, the father of capitalism professed. We gave the highest priority to the infrastructure development using our own resources and with the assistance of our friendly countries and international agencies. Contrary to the neo-liberal prescriptions of the IMF or World Bank, we continued with subsidies and reliefs through our people’s oriented Budgets. In this gigantic task, both in combating terrorism and pushing forward economic development, we managed cleverly and prudently our foreign policy. We maintained and sustained the economic fundamentals through our own policies regardless of IMF or World Bank prescriptions. We averted successfully international pressures, blackmails and threats of sanctions. To sum up, we were pragmatic and not dogmatic in the choice of or strategy and policies. As in the case of the infrastructure development, we should take bold steps in the sphere of these reforms. With the emerging technologies and changing markets and with the possible changes of our lives and working patters, the Government aims at creating a knowledge-based economy and knowledge-based society. For this, formation and accumulation of human capital through education is imperative. Thus, we need to achieve manpower, efficient, effective and productive. In this context, the University is the centre of generating and disseminating knowledge. As President Rajapaksa said, we want our graduates who could see the world beyond their horizon. They should not be mere factories for employment. Here again, it is critically important that Sri Lanka has the human capital need to compete with global knowledge economy. We want our graduates and postgraduates to think and act creatively. Thus, the entire University system needs complete overhaul change and revamping. We must have a workforce with specific knowledge and skills. Thus, a demand for skilled and professional workforce. We took this need into account in formulating our Budget. The modern economy can be built only through science and technological innovations in order to bridge the gap between the rich and poor an also between the town and the village. In this context, the Human Resource Development should be given the highest priority and our vision in this context can be seen through this Budget. To sum up, this Budget is a Budget with a vision and objectives based on people’s oriented economic strategy. It was formulated with a sense of pragmatism, realism and optimism.